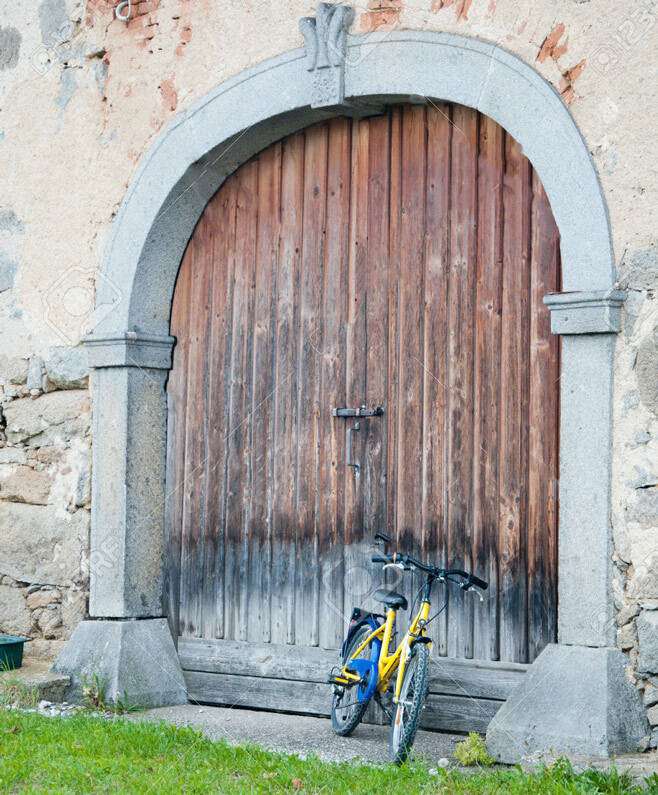 Did you know that “garage” doors have been around since 400 B.C? Of course, back in those days they were used to house chariots and such. 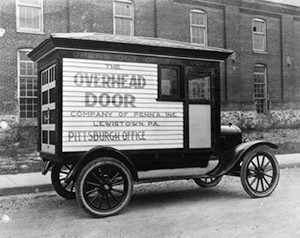 The modern day garage door was invented around 1902 with an interesting name called the “float over door”. Over the years we have innovated with different garage door types of all sizes and styles. From garage doors that open up to garage doors that swing out. There are three main types of garage doors; Wooden, Glass, and Steel. Steel garage doors have been favored since around the 1960s but before that most were wooden. Glass garage doors have been around a while too, but the new ones are almost bullet-proof. These glass garage doors last the longest and work the best. Surprisingly, automatic garage door openers have been around since 1926! The first one was not operable with a remote, but by a switch on the wall. It took many years to come up with good garage door remotes. At first, they used dual remotes, one inside the garage and one outside that were not wireless. This was considered a “remote” at that time. Later on they devised ways to use radio waves to open and close garage doors remotely. This was a great idea until houses in urban areas starting getting too close to each other. Soon all these garage doors were so close to each other that one remote would open two or three of them. Most garage door opener manufacturers used the same radio frequency, so this was bound to happen. 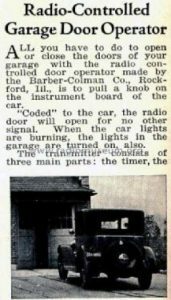 Eventually, coded frequencies were used for each different garage door. These weren’t complicated, so there was still a chance it could happen. Thankfully, these days technology is far more advanced. You can even open your garage door with your smartphone now! If you told people back in 1902 or 1926 about that, their heads might explode! Garage doors still need regular maintenance and repairs. Weather has always taken its toll on our garage doors. Everyday use also has its downside. Wear and tear on garage doors is a constant factor that you have to consider. Just temperature changes can wear down your garage door springs. Without proper garage door safety cables, those springs can do serious damage or cause fatal injuries when they break. This leaves all of us with one very important question… Who do we have handle all of this?Clarks Garage Door & Gate Repair has been handling garage door maintenance, repairs and installation for many years now. All you have to do is call us at (877) 622-8183 and we will take care of it all whenever you need us too. Maybe you want one of those new glass garage doors? That is no problem for Clark’s Garage Door & Gate Repair! Remember, the less you procrastinate in calling us, the less time and money it will take to get your garage door in good working order.